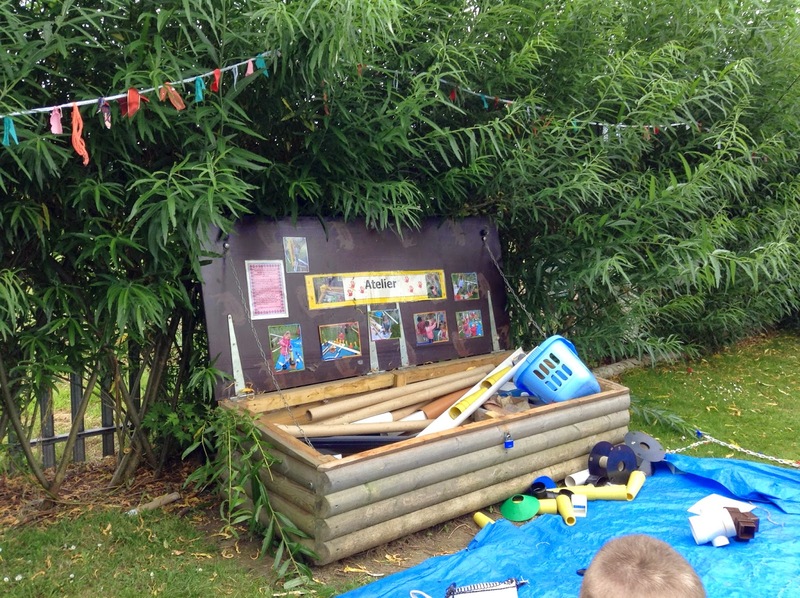 Learning for Life: Derby Road trip - day 1 - Alfreton N.S, outdoors. Derby Road trip - day 1 - Alfreton N.S, outdoors. 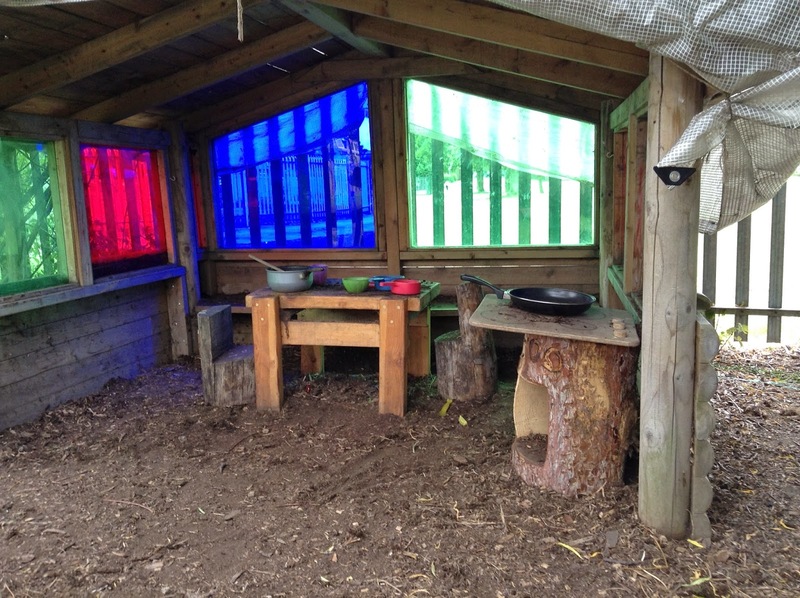 This can be read alone or alongside this post on the amazing indoor learning environment at Alfreton N.S. The wooden gates can be closed off. 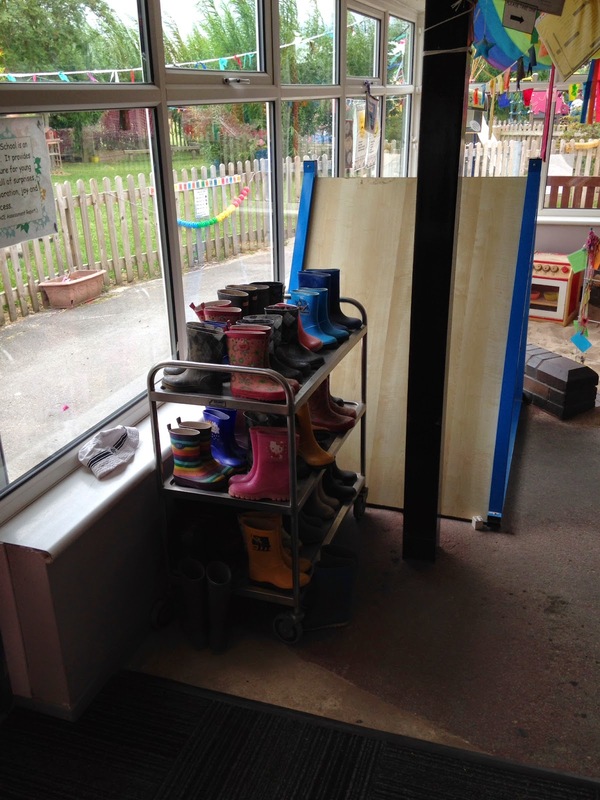 If I had been impressed by the indoor space at Alfreton Nursery I think my jaw really did hit the floor when I stepped outside! 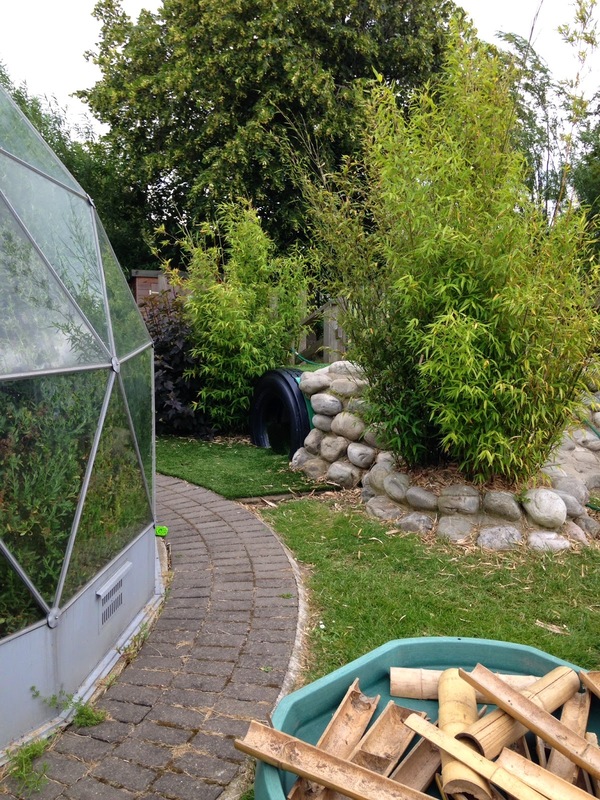 This incredible school has one of the best outdoor spaces I have ever seen, it is broken into so many different little areas, a child must feel as if they are at an adventure park. Once again, they cleverly use items to close off areas between use e.g. a wooden planter closed off the slide area when not in use. 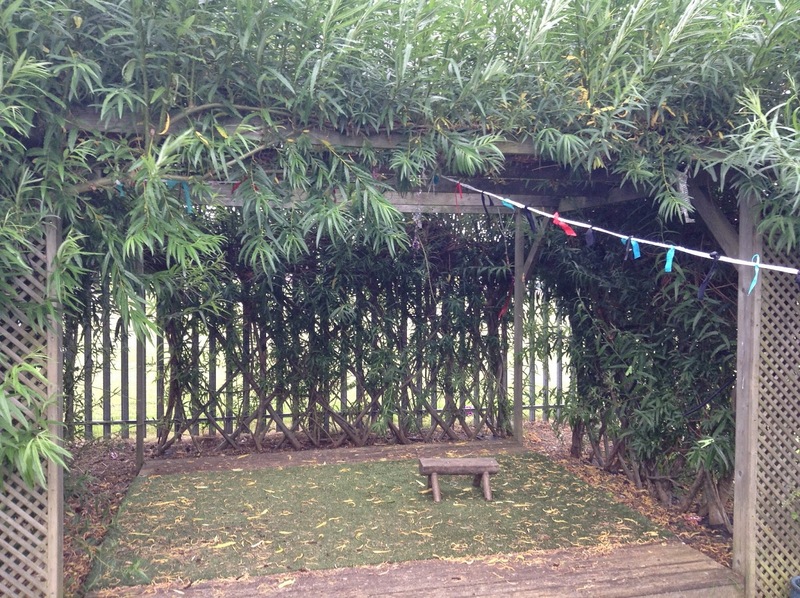 In the outdoor space they have numerous shelters dotted around the place, some planted like willow dens or others are wooden, some were even movable willow arches. I always like to try & create quiet areas within the larger, noisy outdoor space & this is exactly what they have done so successfully at Alfreton. There were so many opportunities for children to be in smaller groups amongst the larger group - at most times there are up to 52 children in the school at one time & yet it never felt that way. I saw little groups of children playing with each other in the mud kitchen area, inside the grass tunnel, the willow dens & just sitting on the grass chatting with the adults. 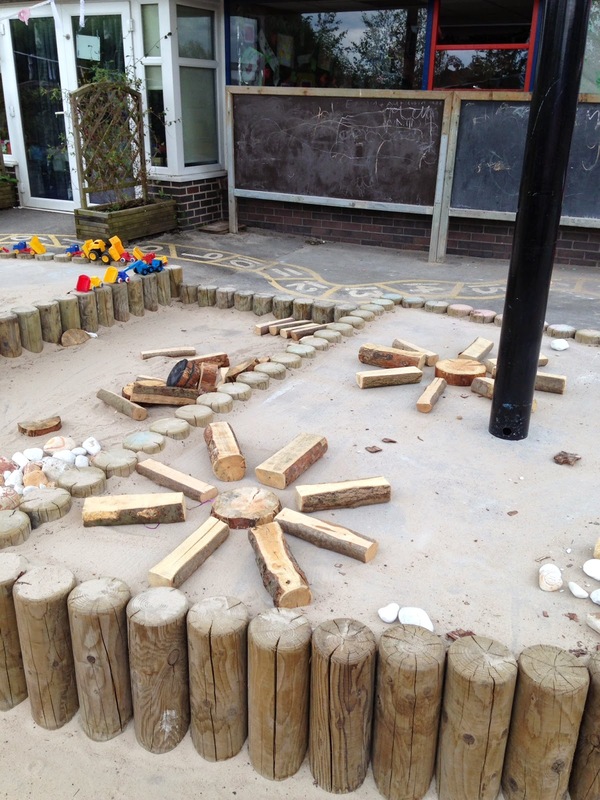 They have a gorgeous sand pit/construction area just outside the main exit & we got to see in use throughout the day & how the adults set it up for play as well. 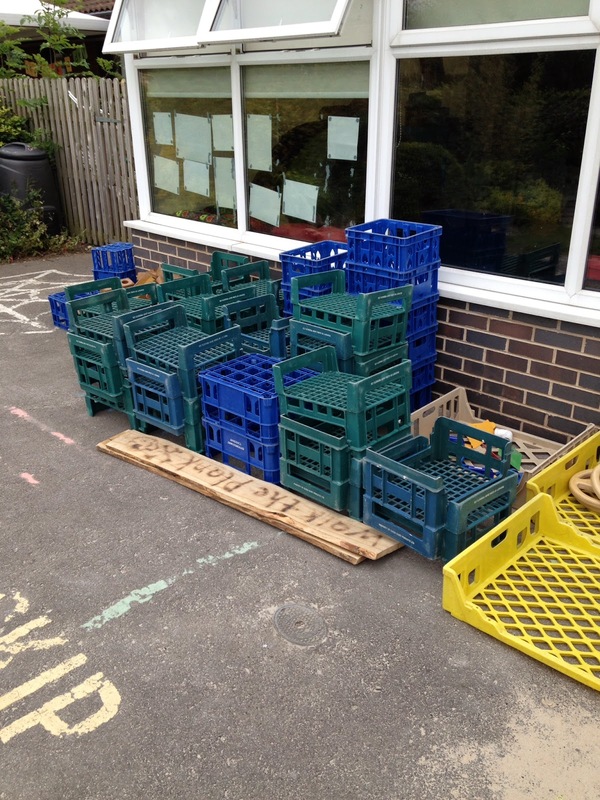 It was great to see the 'H' crates in action in another school, as the green crates we have at Windmill have become known to the wider school audience. 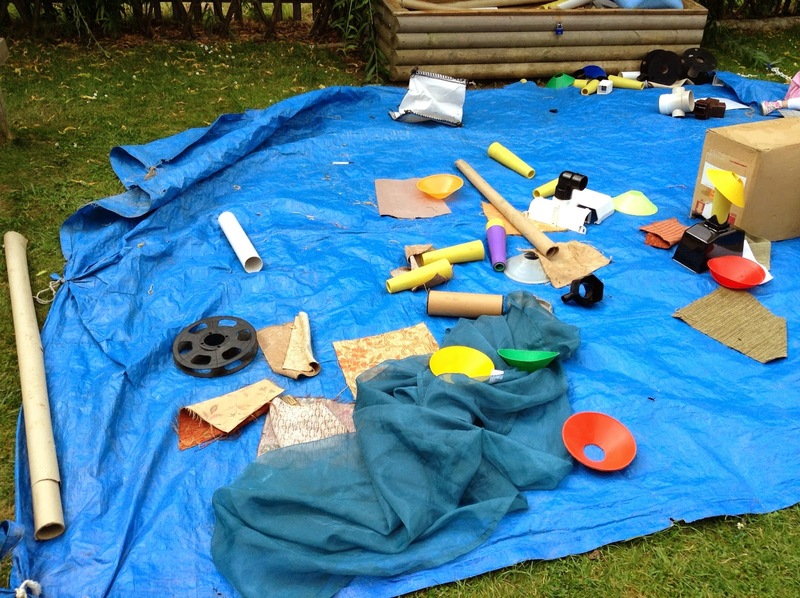 Once again the pile of crates was set up beautifully before each play session to entice the children to engage with the various items. There is a completely separate bike area so that this play does not dominate other areas of the playground. 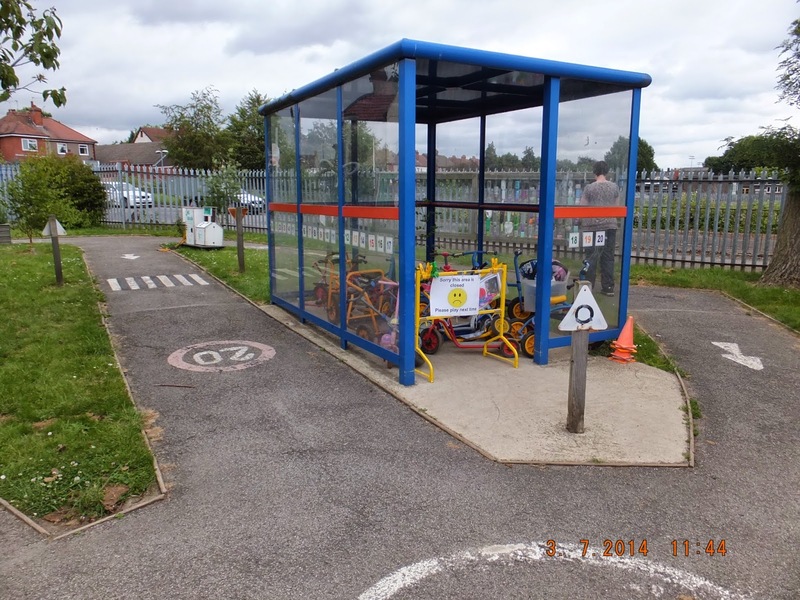 Again, the high staffing level allows them the luxury to have such diverse areas where one adult can be with the bike area whilst several others can be dotted around the rest of the outdoor area. They even have an outdoor Atelier space on the grass & with important developments planned for this area in the new school year, I can't wait to see what becomes of this space. 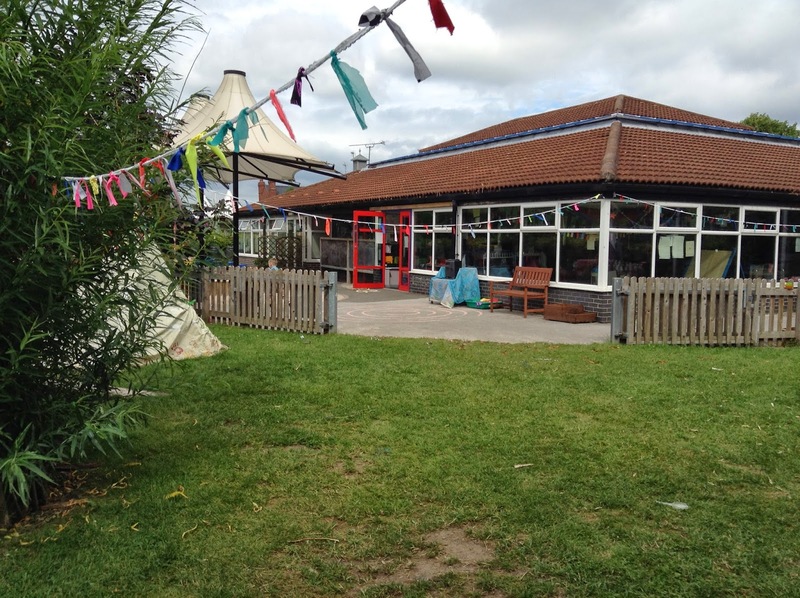 Like some of the other schools we visited Alfreton has an outdoor sound system to allow the children to enjoy some dancing outdoors, even when this was on it didn't impinge on any of the other quieter areas. Throughout the day I saw children put on the music & perform to little groups, some used cheerleading pom poms, others had on super hero capes & others just enjoying playing with the music on in the background. The best part of exploring this incredible space was that I got to see so many Cosy Direct products in action, it is hard to sometimes tell how useful something is going to be from looking at it in a catalogue, so this was even better than going to an exhibition. 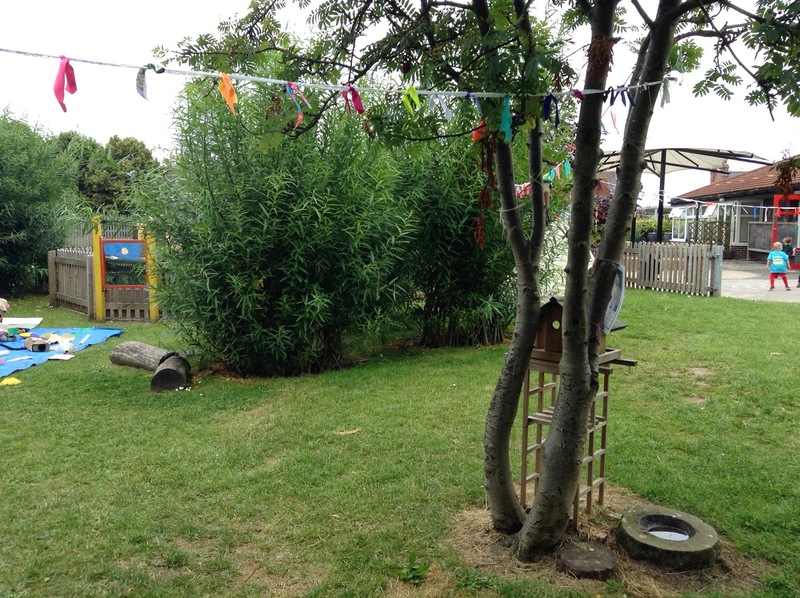 As you enjoy looking at all these photos, I want you to bear in mind that there are also not one but two Forest school sites within the school grounds!! 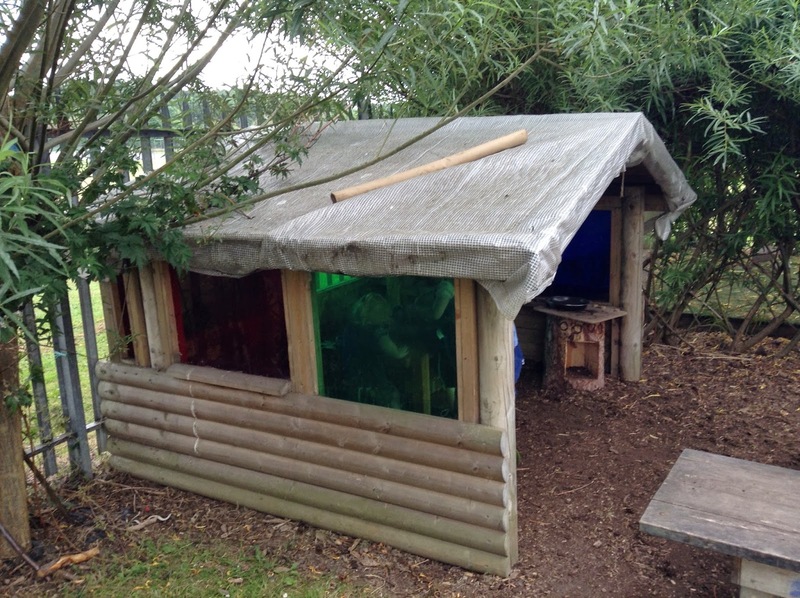 Yes, that's right 2 Forest school sites, I feel that they deserve their own post! Once again, Angela & her team has used every inch of space & are not precious about it looking pristine - it looks so lived in & well used. 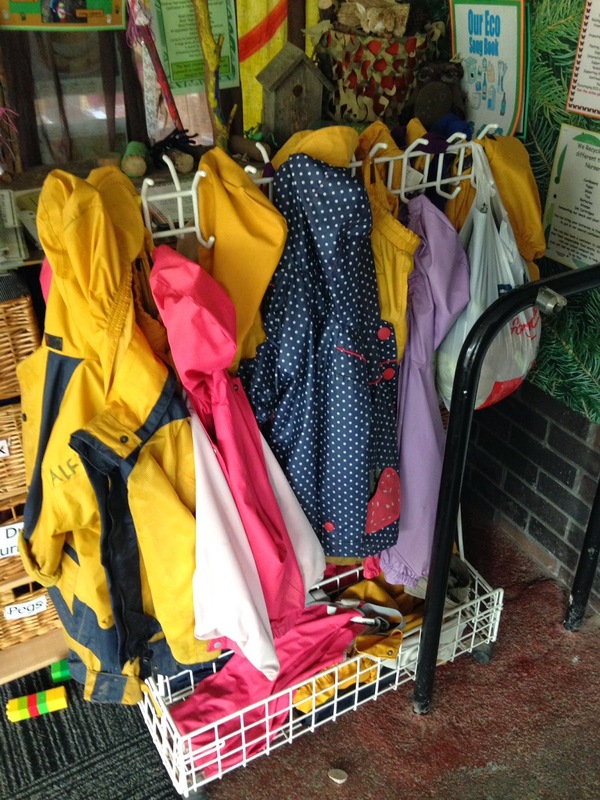 You can tell when people are serious about outdoor play when there are waterproofs & wellies for everyone, not just the children. If you ever get the opportunity to visit this amazing school, grab it. I promise you will come away with loads of ideas of how to enhance your own outdoor space. Thanks again to all the Alfreton Team for their patience at the many questions! And to Nicola for being our chauffeur & guide for the day. I can't believe we were so close to meeting up! We'll have to just keep Pete as our 6 degrees of separation link! That is so true about the shelters, you either get right inside them or just leave the children be. It was my first time in that area, what a beautiful part of the country it is. 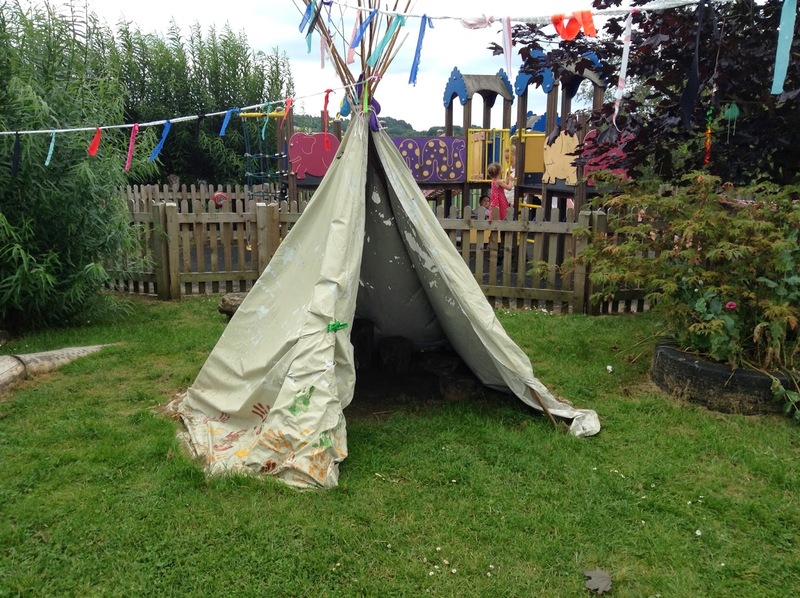 What an amazing setting for the children to learn and develop within, as you say it's like an adventure park with so many wonderful activities. Thanks for linking up and sharing with Country Kids. 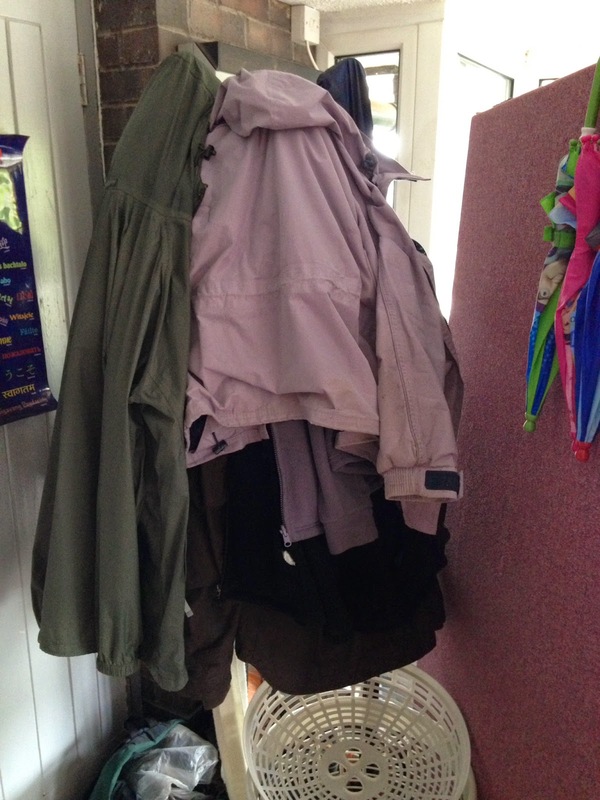 It was very well resourced but best of all well used. Thanks again for hosting. I know! I am glad they came to visit me before I had seen their incredible space!